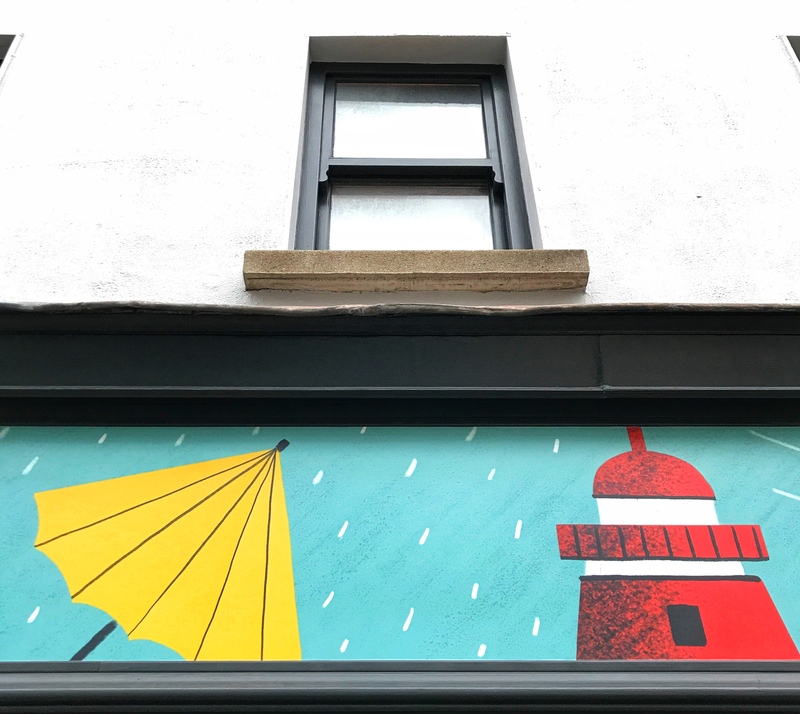 The artwork tells the story and the journey of a yellow umbrella on a windy winters day, blowing al the way from Sandymount to the warmth of a fire place in Ranelagh somewhere. The panels around the Taphouse were a great opportunity for Claire Prouvost to tell an illustrated story reminding us to stay cosy during winter. Claire is a French, Dublin based illustrator and Graphic Designer. You can find out more about her and her work at claireprouvost.com, and follow her work on instagram, @claire.prouvost. We made Sumthin for Santa!!! 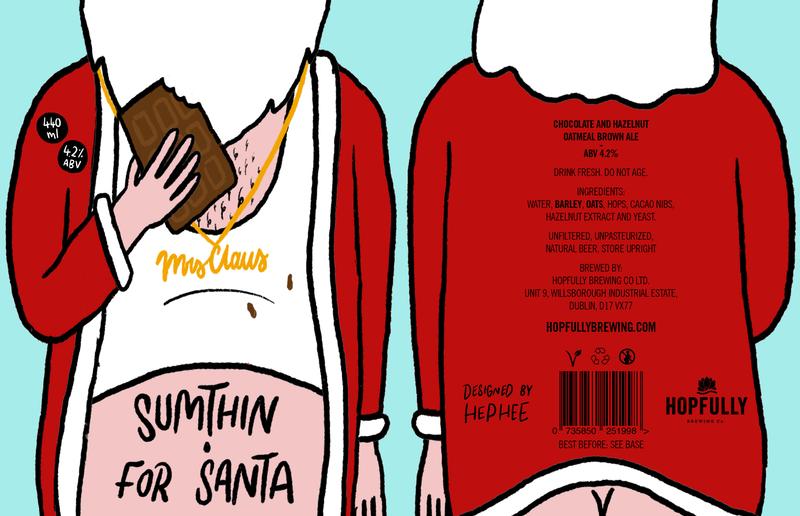 We’ve made our own beer for Christmas, with our friends in Hopful Brewing Co. It’s called ‘Sumthin for Santa’ and €1 from every can goes to Crumlin Children’s Hospital. Skeleton Lovers appear on the front of the pub! 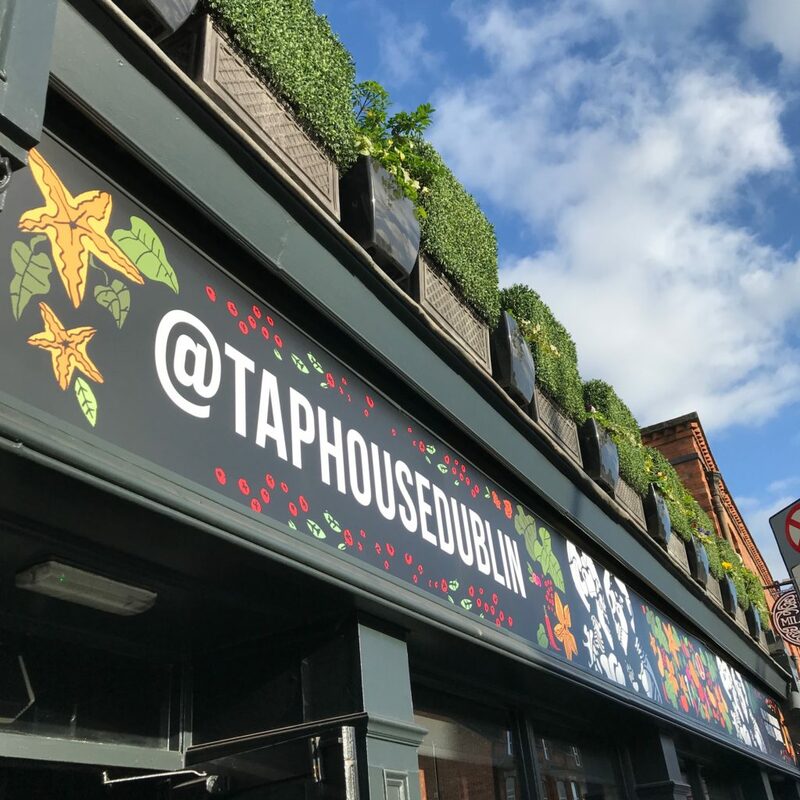 The Taphouse’s current exterior artwork is an adaptation of an illustration titled “Memento Mori (the Skeleton Lovers)” by San Francisco-born, Dublin- based artist Clara Dudley. 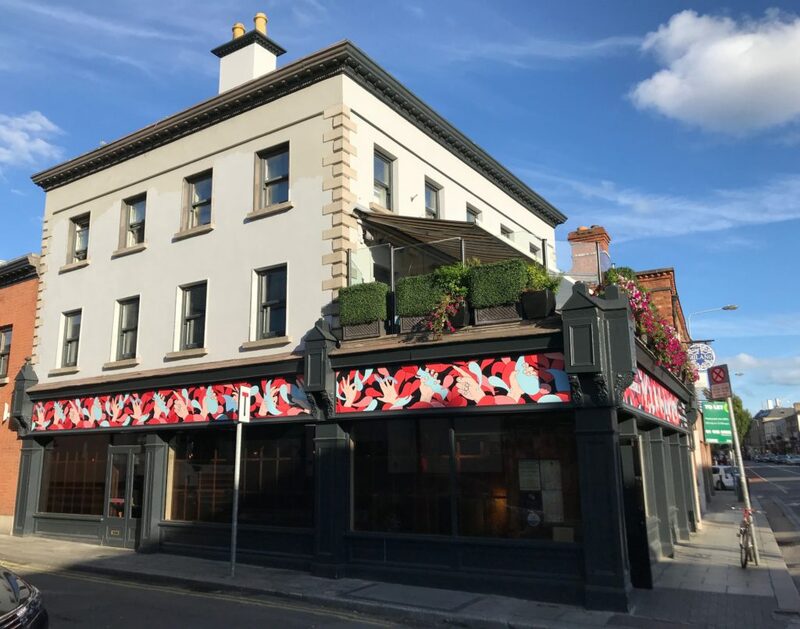 To celebrate Ranelagh Arts Festival 2018, we ran a competition across social media giving local artists a chance to have their artwork adorn the front of the pub for the month of October. After reviewing lots of incredible submissions, we settled on a beautiful design by illustrator Nathanaël Roman.